The Pebble smartwatch gets a lot of press, but not much love. The Apple iWatch, not expected until 2014, will get roughly equal measures of love and hate regardless. Now, Samsung is on the verge of delivering the Galaxy Gear smartwatch and the stakes couldn’t higher. 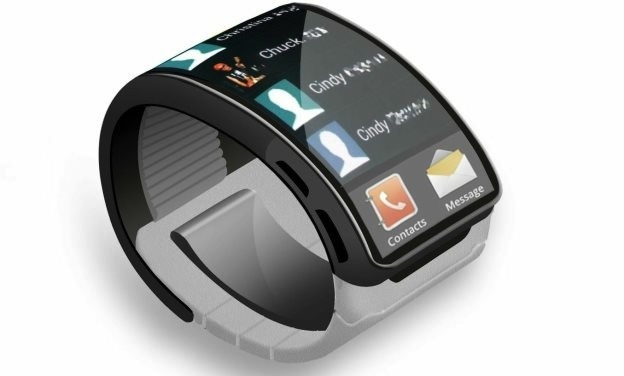 Last week, reports emerged that the Samsung Galaxy Gear, an Android 4.x powered bit of wearable technology, will be introduced next week. GigaOM’s Om Malek, one of the United States’ newest citizens, has confirmed that the launch will indeed come on Wednesday, September 4 at events to be held in Berlin, Germany and New York, USA. Which is the smaller half of the answer to the question of when the Samsung Galaxy Gear smartwatch will come into being. The other, larger half of the answer is less certain. “Our source mentions week 36 as the likely time when the Note III will begin shipping, while the smartwatch will be shipped around week 40, though a delay of a week or two may happen, depending on region,” writes fan blog SamMobile. Week 40 of 2013 runs from September 30 through October 6. Again, SamMobile cautions a week or two slippage could occur. An interesting twist — a closed-source, walled-garden twist — is that apps for the Galaxy Gear won’t be available on Google’s Play mobile marketplace, but rather Samsung’s proprietary app store — no one has ever beaten let alone matched Apple on its home “wall garden” turf. Yes, the speeds and feeds look more than adequate. The shortlist of features — Android 4.x, Twitter and Facebook integration, bump-to-sync, notification syncing, etc — looks OK, too. However, Samsung has a nasty habit of munging up its devices with features that either don’t work or only partly as advertised. In order to own the smartwatch space, the Galaxy Gear will need to be much more than merely adequate — it’s all about the user experience. Are you excited to try the Galaxy Gear or will it be just another poorly tossed Samsung feature salad?